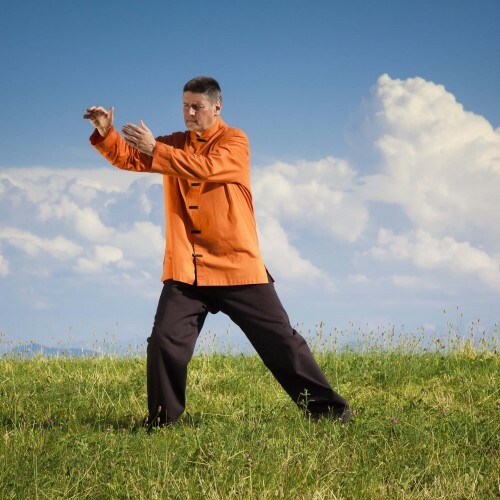 Qi Gong (sometimes spelt Chi Gung) is a system of flowing movement exercise that promotes health, balance, energy and longevity. Through posture, movement, relaxation and deep breathing it aims to promote the movement of Qi (life force) around the body. Its roots are in Chinese martial arts, medicine and spiritual philosophies such as Taoism.